You’re sure to stand out in the new boyfriend design Metro Jogger. 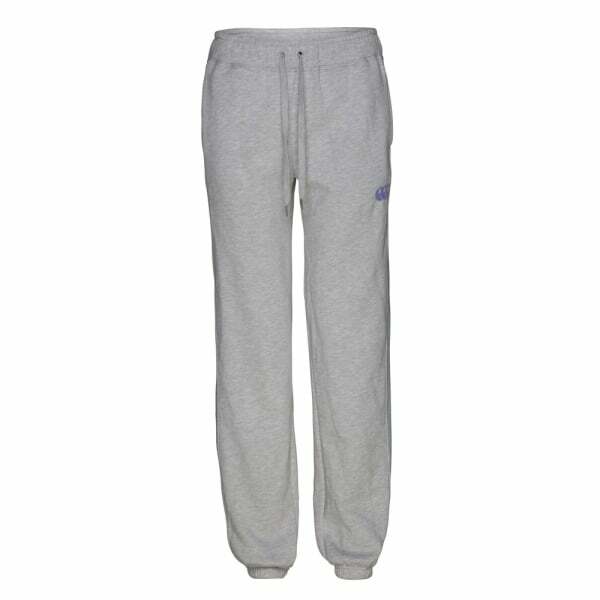 In line with Canterbury’s tradition of using cutting-edge fabric technologies, this jogger features durable cotton-polyester brushed back fleece for added softness and comfort. The relaxed-fit, full-length cut offers exceptional coverage with breathability, so you’ll stay dry and refreshed whether you’re doing light exercise or out for an intense workout. With its elasticated hems and external tonal drawcords you’re ensured great fit and adjustability, while the slip in side pockets provide added convenience for keeping valuables near. Complete with feeder stripe, yarn dye, rib side panels and flocked CCC logo on the left thigh, this all-purpose winter workout piece combines functionality with casual style, and groups you with the large community of Canterbury athletes and sports enthusiasts.